(DECLAIMING) When I open my eyes I must sigh, for what I see is contrary to my religion, and I must despise the world, which does not know that music is a higher revelation than all wisdom and philosophy. Music is the wine which inspires one to new generative processes, and I am Bacchus, who presses out this glorious wine for mankind and makes them spiritually drunken. NARRATOR: His Piano Concert number 5 is known as the Emperor Concerto, because when a member of the audience first heard it, he declared it be "an Emperor of a Concerto!" 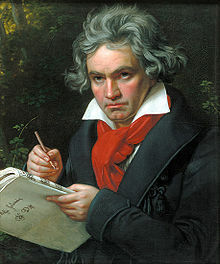 Beethoven was the grandson of his namesake Ludwig van Beethoven of Flemish origin. The name means "beet yard", suggesting that his ancestors were vegetable farmers. He was invited at the age of 21 to Bonn, as a bass singer at the Court of the Elector of Cologne, rising to become Kapellmeister or Music Director. WEGELER: A short, muscular man with extremely animated eyes . . . greatly respected as an artist. He suffered the pain of having to commit his wife to a sheltered cloister, because she was an alcoholic. They had one son, Johann van Beethoven, who worked as a tenor, also at the court of the Elector. To supplement his income he gave piano and violin lessons. Johann also became an alcoholic. Aah! Geschmäcke gut. Only the pure in heart can make a good soup. 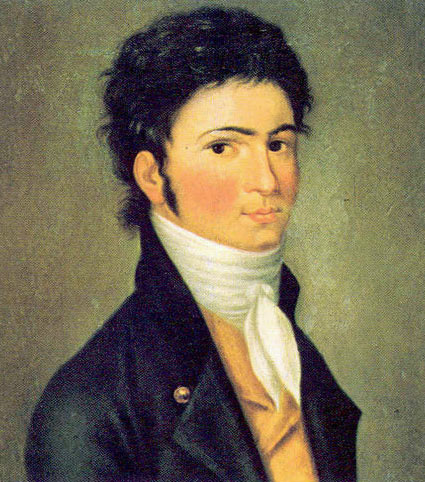 Beethoven was born in Bonn; he was baptized at Saint Remegius Church, as a Roman Catholic, on 17 December 1770. As children were normally christened within 24 hours, he was probably born the previous day, 16 December. He was not to remain an orthodox Catholic, but this section of the Benedictus from his Missa Solemnis, where the violin suggests the descent of the Holy Spirit at the moment of consecration, suggests a profound religious instinct. Of the seven children born to Johann and Maria, only Ludwig, the second-born, and two younger brothers survived infancy. MARIA: If you want to take my advice, stay single, and then you will enjoy the most tranquil and pleasurable life. For what is marriage? A little joy, and then a chain of sorrows. NARRATOR: In spite of this, Beethoven's first music teacher was his father. 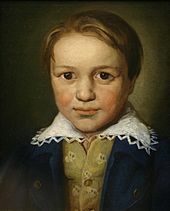 A traditional belief is that Johann was a harsh instructor, and that the child Beethoven "made to stand at the keyboard, was often in tears". BEETHOVEN: I thank you for the advice you have given me about making progress in the divine art. If ever I become a great man, you too will have a share in my success. NARRATOR: It was through Neefe that the young Beethoven first encountered the German literary movement, called Sturm und Drang ("Storm and Stress"). It aimed at new kind of poetry and drama that stressed natural feeling and exuberant originality. Neefe was a member of the Illuminati, a radical group of Freemasons, who promoted radical ideas then sweeping Germany. Ludwig van Beethoven, son of the tenor, a boy of eleven years, and of the most promising talent, plays the clavier very skilfully, and with power, reads at sight very well, and - to put it as simply as possible - he plays chiefly The Well-Tempered Clavier of Johann Sebastian Bach. This youthful genius is deserving of help to enable him to travel. He would certainly become a second Mozart, if he progresses as he has begun. 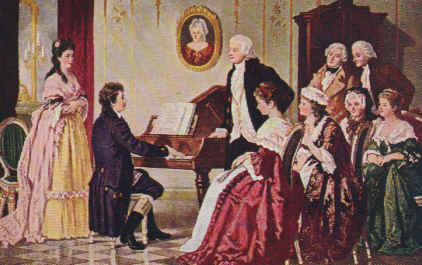 Neefe helped him to write his first published composition: a set of keyboard variations Beethoven soon began working as Neefe's assistant organist of the court chapel. 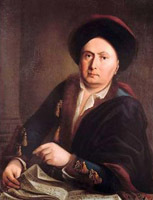 His first three piano sonatas, named "Kurfürst" ("Elector") for their dedication to the Elector Maximilian Frederick, were published in 1783, a remarkable piece of work for a twelve year old boy. May I now, therefore, Illustrious Prince, presume to lay the first-fruits of my juvenile labours at the foot of your throne? And may I hope that you will condescend to cast an encouraging and kindly glance on them? You will; for Art and Science have ever found in you a judicious protector and a generous patron, and rising talent has always prospered under your fostering and fatherly care. Encouraged by this cheering conviction, I venture to approach you with these my youthful efforts. Accept them as the pure offering of childlike reverence, and graciously vouchsafe to regard with indulgence both them and their youthful composer. NARRATOR: Maximilian Frederick, who died in 1784, not long after Beethoven's appointment as assistant organist, had noticed Beethoven's talent early. He was a huge admirer of Mozart and had an extensive music library. He subsidized and encouraged the young Beethoven's musical studies. 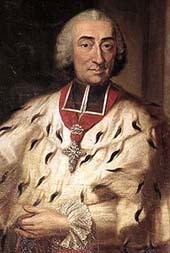 When he died in 1784, he was succeeded by Archduke Maximillian Franz, who had actually met Mozart, and had tried to lure him to nearby Cologne. A friend of his and fellow Teutonic knight, Count Waldstein, of one of the wealthiest families in the Hapsburg Empire was looking for someone to spend his generous allowance on. MOZART: Keep your eyes on him - some day he will give the world something to talk about. BEETHOVEN: His playing was fine, but choppy, with no legato. 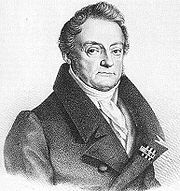 GERHARD: Beethoven met the great art-loving, aristocratic families of Vienna. NARRATOR: However after just two weeks in Vienna, Beethoven learned that his mother was severely ill, and he was forced to return home. She died shortly thereafter. He wrote to a friend. BEETHOVEN: I found my mother indeed still alive, but in the most deplorable state; her disease was consumption, and about seven weeks ago, after much pain and suffering, she died. She was indeed a kind, loving mother to me, and my best friend. Ah! who was happier than I, when I could still utter the sweet name of mother, and it was heard? But to whom can I now say it? Only to the silent form resembling her, evoked by the power of imagination. Six months after her death Ludwig's baby sister died, leaving him in a womanless house. All his life he yearned to find love in a relationship with a woman. Several of his pieces were to be dedicated to woman that he loved, as in this Bagatelle no. 25, dedicated to a lady called Elise. Meanwhile his father lapsed further into alcoholism. 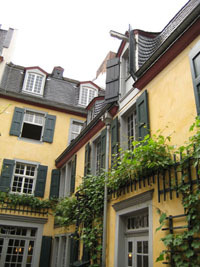 As a result, at the age of sixteen, Beethoven became responsible for the care of his two younger brothers, and he spent the next five years in Bonn. 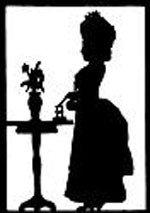 Fortunately he was employed by Helène von Breuning, a kind widow, to teach piano to her children, and it gave him a chance to absent himself from his father. The family was wealthy and cultured and through them Beethoven picked up some of the learning, he missed through not attending school. Helène allowed him to practise piano at any time, and as his skills as a musician became better known, she regarded it as her role to protect him. Later in life speaking of her, he said with a lack of modesty. BEETHOVEN: She understood how to keep the insects off the flowers. He formed a lifelong friendship with her son Stephan. He also contributed to the family's income by playing viola in the court orchestra and for the local theatre. In 1789 he obtained a legal order by which half of his father's salary was paid directly to him for support of the family. 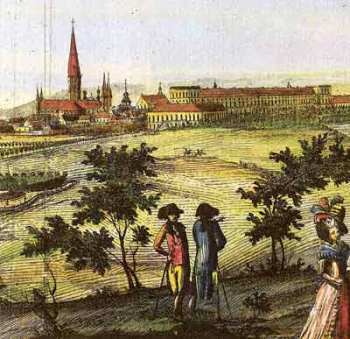 In 1791 Count Waldstein organized an extravagant entertainment to celebrate Carnival Sunday in March. The nobility of Bonn would stage a ballet - 'ballet', for them, meant the taking up of poses with little or no movement - representing traditional elements of German life - war, the hunt, love and drinking. 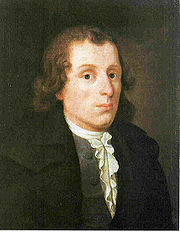 Waldstein asked his young protegé to compose the music. Here is his hunting song. But Waldstein also asked whether Beethoven minded if he let it be known that Waldstein was the composer? Beethoven obliged. Also when he was nineteen, it is likely that his first love was Eleonore von Breuning, to whom he taught the piano. Judging from a letter that he wrote her a year later from Vienna, he may have made clumsy advances that were rebuffed. The most vivid remembrance of you is ever present with me. I have often conversed in thought with you and your dear family, though not always in the happy mood I could have wished, for that fatal misunderstanding still hovered before me, and my conduct at that time is now hateful in my sight. How much would I give to have the power wholly to obliterate from my life a mode of acting so degrading to myself, and so contrary to the usual tenor of my character! We are told that the best proof of sincere contrition is to acknowledge our faults; and this is what I wish to do. Let us now draw a veil over the whole affair. At the close of my letter I venture to make a request -- I am anxious to possess an Angola waistcoat knitted by your own hand, my dear friend. Forgive my indiscreet request; it proceeds from my great love for all that comes from you; and I may privately admit that a little vanity is connected with it, namely, that I may say I possess something from the best and most admired young lady in Bonn. also wish something for myself. NARRATOR: Beethoven was in love with one woman or another for the remainder of his life, but until his death he kept this note in his wallet. Also he dedicated several compositions to her and named the heroine in his opera Fidelio after her. Meanwhile with the new Elector's help, Beethoven moved to Vienna in 1792. He was probably first introduced to Joseph Haydn in late 1790, when the latter travelled to London and stopped in Bonn on his way back. 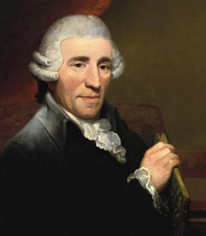 Haydn was impressed by one of his cantatas, and arrangements were made to study with the old master. Beethoven left Bonn for Vienna in November. By now the post-revolutionary armies of France were on the march, attacking Rhineland cities. The court of Bonn was in the course of dissolution. COUNT WALDSTEIN: You are going to Vienna in fulfilment of your long frustrated desire. The genius of Mozart is still in mourning and weeps for the death of its pupil. It found a refuge with the inexhaustible Haydn, but no occupation; through him it wishes to form a union with another. With the help of unceasing diligence you will receive Mozart's spirit from the hands of Haydn. The coach journey to Vienna was precarious. Both Austrian and French armies were on the move. Because of his admiration for Napoleon, Beethoven must have had mixed feelings. He was later to dedicate his 3rd Symphony, known as The Eroica to Napoleon. BEETHOVEN: I tipped the driver one small thaler, because the fellow drove us, at the risk of a whipping, right through the Hessian army, going like the devil.